Dare to Differ - School Run - Free tea and coffee to all parents who bring their children into school on time. 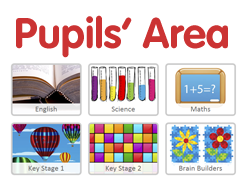 Able Maths Day - Children will need to be in school by 8.50am. On Saturday 24th November, twelve lucky children from years 4, 5 and 6 were mascots for the Margate FC vs Bishopâ��s Stortford match. The experience provided the children with the opportunity to: play on the 4G pitches before the game; welcome both teams onto the pitch at the start of the match; play the role of ball boys and girls during the game itself and step onto the pitch at half-time for a penalty shoot-out. The children had a fabulous time and thoroughly enjoyed the experience - despite seeing the home team lose the match 4:1! Christmas Craft Coffee Mornings- 8.55am. For parents and their younger children.